Second World War serial killer, Dr Marcel Petiot, enjoys the reputation of being France’s most notorious – and prolific – serial killer. 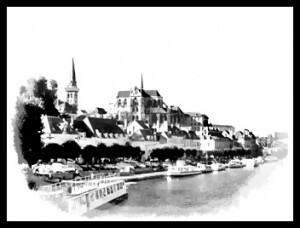 My book – Die in Paris – explores his life as a kind family doctor in a village, and as a backstreet abortionist and drug dealer in Paris where he eventually slaughtered 26 innocents while the ‘most beautiful city in the world’ was under the Nazi boot. The police chief thought that judging by the human remains found at his Paris townhouse he had murdered – no slaughtered – about 200 people. 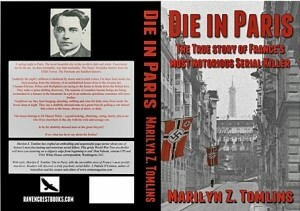 Die in Paris has been published by Raven Crest Books of London. It is available on amazon.com as well as on the Raven Crest Books website. You can now read a brief synopsis of the book. A March night in German-Occupied Paris in 1944 like most others: uncertainty devils the air. As does normality. 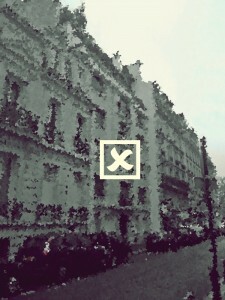 On this night, though, neighbours call police to an empty town house on a tranquil street in the elegant 16th Arrondissement. For five days a foul smoke has poured from the house’s chimney. The police and several firemen break in. They make a spine-chilling discovery: The remains of countless humans are being incinerated in a furnace in the basement. In a pit in an outhouse, quicklime consumes still more bodies. The house belongs to Dr Marcel Petiot – a charming, caring, family doctor who lives elsewhere with his wife and their teenage son. Now though, the Petiots vanish. Three days later Madame Petiot is arrested. Seven months later, police arrest the doctor. He claims he is the head of a Resistance cell. He says that the bodies found in his house were those of executed Germans, French Gestapo and French Collaborators. But by now the police know the truth: the corpses were of people hell bent on fleeing Occupied France and Nazi tyranny – many of them Jews. But they were hell destined: Petiot had offered them an escape route to Argentina, but instead he had slaughtered them in a way too bestial for even an abattoir. Then he went with a cart and looted their homes. In 1946, France, at last free of the Nazi monstrosity, Dr Marcel Petiot was convicted and guillotined for the murder of 26 people. The police and pathologists, however, thought 200 a more realistic number. 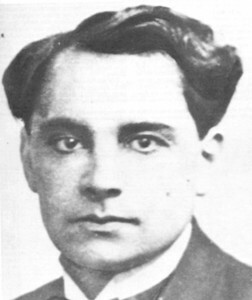 Today, Marcel Petiot remains France’s most prolific murderer. Indeed, he remains France’s greatest criminal. If ‘great’ be the word. In my opinion this is a story that movie and television producers and directors will find extremely tempting to undertake. It is not only a tale of sheer horror, but it also carries a political message: what the consequences are when a nation does not resist aggression from another nation, in other words, when it capitulates to an enemy. It also offers an opportunity to debate capital punishment. 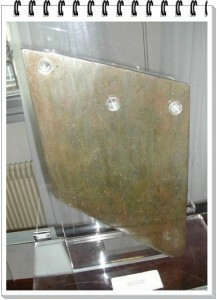 Although I suffered no illusions as to Petiot’s crimes, I could not help to feel immense sympathy for him in the final moments of his life when he was led to the guillotine. Another major draw is Petiot’s physical attractiveness, and not only his, but that of his brother and of Georgette, his wife. He looked like Johnny Depp and Georgette was typically Parisian – petite, mignonne (slender and cute) and chic. Audrey Tautou (she was in The Da Vinci Code) and Juliette Binoche come to mind. There is also the fact that this story did not take place in a backwater village or one of Paris’ poorer arrondissements – neighborhoods. It happened in the capital’s wealthiest, most beautiful area – the Champs-Elysées/Étoile district with the Eiffel Tower visible at the end of Rue le Sueur where the murder house stood at #21. Shooting could be done not only in Paris but also in Auxerre (Petiot’s birthplace) and the village of Villeneuve-sur-Yonne of which he was Mayor and where he murdered his first three victims. Both places are picturesque. The Auxerre town hall today uses the house where Petiot was born as an art school. (The house actually features in Auxerre’s tourist office’s leaflet although it gives some incorrect information: it claims that he was found guilty of 14 murders.) Petiot’s house in Villeneuve-sur-Yonne where he committed his first murder – he murdered his lover Louisette Delaveau – still stands. It is home to a happy French family. Petiot’s town hall also still exists. It is today a community center. If you only wish to discuss Petiot with me, do email me here on this site. I would really love to hear from you. 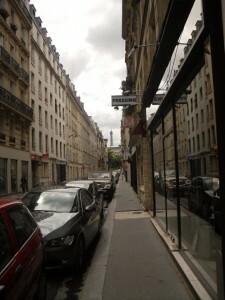 It was on this street and on this spot that Petiot murdered.